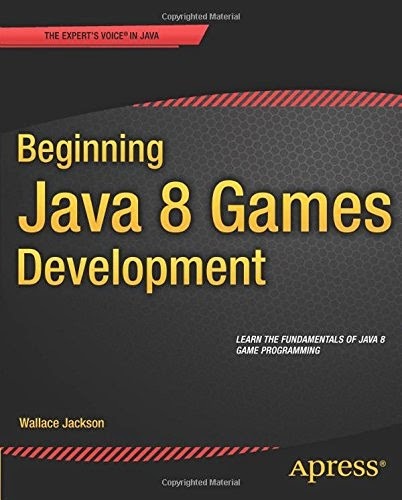 Beginning Java 8 Games Development , written by Java expert and author Wallace Jackson, teaches you the fundamentals of building a highly illustrative game using the Java 8 programming language. In this book, you'll employ open source software as tools to help you quickly and efficiently build your Java game applications. You'll learn how to utilize vector and bit-wise graphics; create sprites and sprite animations; handle events; process inputs; create and insert multimedia and audio files; and more. Furthermore, you'll learn about JavaFX 8, now integrated into Java 8 and which gives you additional APIs that will make your game application more fun and dynamic as well as give it a smaller foot-print; so, your game application can run on your PC, mobile and embedded devices. After reading and using this tutorial, you'll come away with a cool Java-based 2D game application template that you can re-use and apply to your own game making ambitions or for fun. This book is for game developers with little experience using Java, little experience in developing games, or both.